Save sixty percent on the Blu-ray 3D combo pack at Amazon! 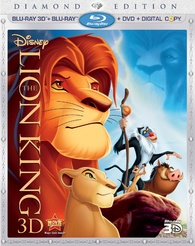 Amazon is offering 'The Lion King - 3D' for $19.99 (60% off suggested list price). Click here to take advantage of this excellent deal!